Friends & family are what matters most through both good & bad times! If you have one true friend in life you are lucky. 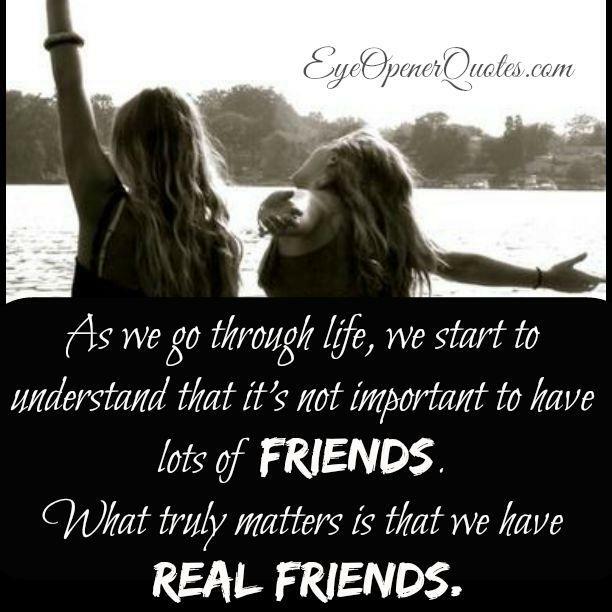 Real friends are the ones there no matter what your circumstances. That’s when you find out who the real ones are. Real friends are hard to come by. Most people are only your “friend” because it benefits them in some way.